NEARLY 57% OF US HOUSEHOLDS included a pet in 2016, and dogs reigned supreme. Of the 50,000 pet-owning households surveyed for the newly released 2017-2018 edition of the American Veterinary Medical Association’s (AVMA) Pet Ownership & Demographics Sourcebook, about 38% had a dog and 25% had a cat. But the number of specialty and exotic animals owned as pets is growing. At the end of 2016, more than 13% of US households owned small mammals, reptiles, poultry, fish, livestock, and other specialty pets, a 25% increase from 2011. 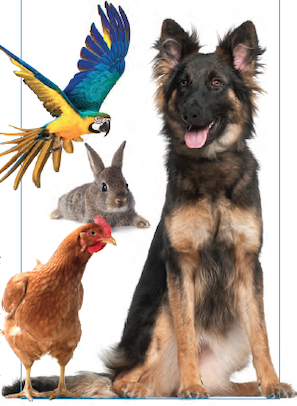 The largest growth in specialty pet owner­ship was seen in backyard poultry, with 1.1% of households owning pet poultry in 2016, an increase of 23% in 5 years. Other findings: Pet ownership is higher in rural states than in urban ones. On average, 68.6% of homes in the top 10 rural states include pets, whereas pets can be found in just 48.8% of the top 10 urban pet-owning states. And the Sourcebook notes that dog owners are more likely than cat owners to take their pet to a veterinarian. On average, dog-owning veterinary clients made 3 visits to a practice in 2016, and cat-owning clients made 2.4 visits.